Profit Accumulator Review – Can You Really Make Money & Is It Legit? 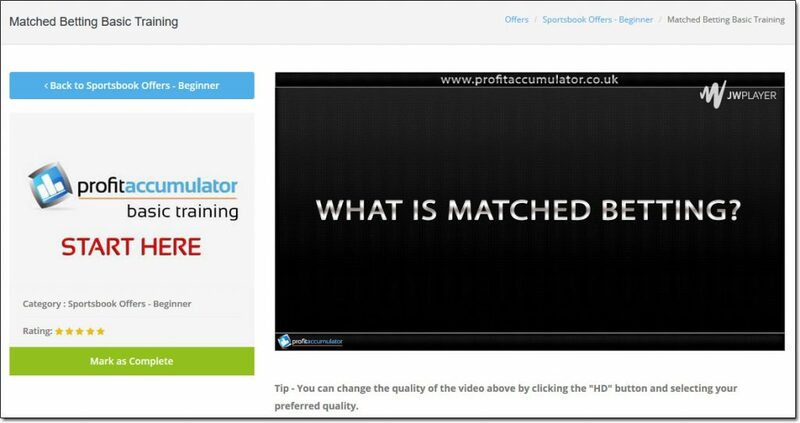 In this post I’m going to be taking an in-depth look into Profit Accumulator, which is a website that claims to be able to make you thousands of pounds every month from something called “Matched Betting“, aka the art of turning bookmakers free bets into withdrawable cash. So if you’ve came across Profit Accumulator & are thinking about signing up then rest assured you’re in the right place to find out everything you need to know before joining. I’m going to be explaining what it’s all about, if it really works & whether or not it’s worth the money. What actually is Profit Accumulator? Launched back in 2014, Profit Accumulator is a matched-betting system that’s been put together by a guy named Sam Stoffel. And to strip it right down to the basics it’s essentially a system that, through the use of step-by-step videos, shows you how you can legally “beat the bookies” and turn the free-bet offers into withdrawable cash. 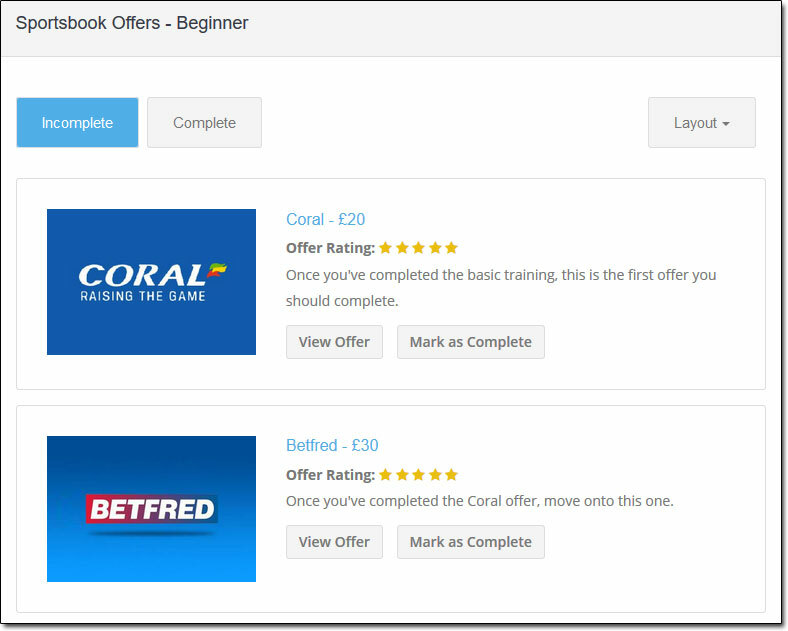 This method of “beating the bookies” is known as something called matched betting. Now the process of matched betting itself is proven to work & has actually been featured in many respected publications around the world such as The Telegraph, The Guardian & The Huffington Post. Why isn’t everybody doing it!? You see whilst matched betting is definitely proven to work, the process has traditionally been hard to follow & required a lot of time of attention. In fact I actually just recently wrote a post on how matched betting actually works, and if you have a read through you’ll quickly see how the process itself is pretty complex & frankly quite daunting. Profit Accumulator is a website that’s been designed to take the complexity out of matched betting and make it easy for anybody to do, even if they’ve never placed a bet with a bookmaker before in their lives. You see I fall into that category – I’ve never been a gambling man & whilst I’ve placed the odd “dabble” on the Grand National even then I’ve never really understood what I was doing. 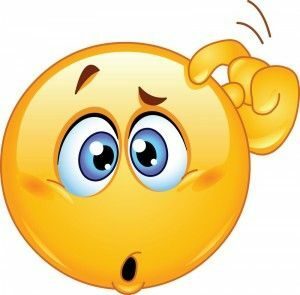 And I’m not going to the lie, the concept of matched betting had me sitting scratching my head. Put it this way, matched betting (without sites like Profit Accumulator) is definitely a hassle – and despite the lucrative rewards, people simply just can’t be bothered spending time to learn it all. And do you know what? I don’t blame them! 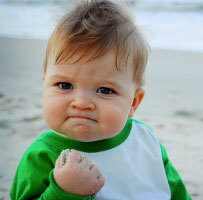 But thankfully Profit Accumulator has made it super easy. Sam, the creator of Profit Accumulator came to an obvious realisation… There’s a tonne of easy money to be made from matched betting, it just needs to be simplified so that everybody can profit from it – without having to face the tedious learning curve & the struggle of finding free-bet offers. Since the launch of Profit Accumulator a few other similar companies have surfaced. However, the good thing about Sam (the owner of Profit Accumulator) is that he seems to have developed this system with integrity, putting his members first & doing everything he can to help his members earn. Many of the other systems have simply launched off the back of this particular companies success with their main intention being to make a quick-buck. So whilst there are a few that are cheaper, do not assume they are necessarily better (more on that shortly). So how does Profit Accumulator actually work? Profit Accumulator is basically a system that in essence, does all the work for you. Whereas previously you’d have had to go out searching for offers and spend time calculating “back-bets” & “lay-bets”, the team at Profit Accumulator have already done it for you. This therefore means that all you need to do is sign into your account, choose one of the most profitable offers that is listed & then simply follow the step-by-step videos which shows you exactly how to profit from that particular offer. So whereas before when you pretty much needed a university degree to participate in matched betting (joke), now all you need is to be able to follow simple step-by-step videos as you are literally walked through the entire process. And it’s easy to see that it’s catching on because more than 20,000 members have joined Profit Accumulator since it’s launch in late 2014. I did the math and that’s almost 30 new people joining every single day… Pretty crazy stuff. If you’re still unsure about how Profit Accumulator actually works, and how it can make you money then let me walk you through each of the steps so that you can get a better idea. If you’re new to Profit Accumulator then you’ll be able to grab a free trial by clicking here to try it out for yourself first hand. Whilst the trial is awesome and will enable you to earn up to £45 there are some limitations such as limited member area access & only basic support. However, with that being said the paid membership is only £22.99 per month & will enable you to earn multiple thousands per month. But for now since you’re new and just trying it out the trial will be more than ample, and then based on your experience with that you can decide whether or not you want to upgrade (which undoubtedly you will, once you see the money rolling in 😁). Plus by going down the route of the trial the signup process is super simple and doesn’t require any payment card whatsoever. This video presents you with an easy to understand introduction to matched betting, which is great because it’s important that you know how it all works before you go ahead and get started. I have to say that this video does explain it all really well, and it was the video that personally give me the “aha” moment when I was struggling to figure out how it all works. And as quickly as that it’s time to place your bets and start making some money. There’s absolutely no fluff with this system, it really is a straight to point step-by-step process that literally anybody can follow with ease. So in the example above you can see that the first offer you’re told to complete is with Coral, and that this particular offer will provide you with £20 in free bet credit. Once you click “View Offer” you are shown a video which walks you through the process of placing the bet and redeeming the offer, enabling you to ultimately turn the free bet credit into withdrawable cash. And then immediately after that they have another offer lined up for you, which in this particular instance is with Betfred and will earn you £30 of free bet credit. As you can see it’s a very simple process, and from here onward all you need to do is simply rinse and repeat. Profit Accumulator will keep updating you with the latest new offers & all you need to do is login, follow their step-by-step video & take advantage of them. This is without a doubt one of the easiest ways to make money online (and it’s completely legal too). So firstly, is this just a big scam? Whenever it comes to any sort of means for making money online everyone’s initial reaction is to simply call “scam”, because it’s just not possible right? But that’s where you’d be wrong – because making money online is entirely possible, and more and more people are becoming aware of it every single day. Yes Profit Accumulator does provide you to earn a lot of money with very little work, but no it is not a scam. The second biggest question surrounding the whole concept of matched betting is whether or not it’s legal, so I want to clear that one up too. Matched betting is absolutely & undoubtedly 100% legal. So you can rest assured that you’ll be making your profits on the right side of the law. Despite Profit Accumulator totally simplifying things, lot’s of people still get worried that they just won’t be able to understand it before because they are “not used to betting”. Well let me tell that you neither am I – in fact I’ve probably placed all of 2 or 3 bets in my entire life, so when it comes to betting it’s safe to say I am clueless. However, after watching the videos that Profit Accumulator put together it’s easy to see that you don’t need to know a thing about betting to be able to profit from this system. They literally hold your hand & walk you though every step – showing you exactly what & where to click. So with that being said, if I can understand it – then you can definitely understand it. Will Profit Accumulator affect my credit score? Another worry for people is that placing bets through Profit Accumulator will result in their credit score being damaged, and it’s a reasonable concern. However, rest assured that your credit score will not be affected – and to be fair it’s unlikely that you’ll ever need credit again once you have your side income from matched betting pouring into your account. For those who are still concerned though the best thing to do is simply either open up a separate bank account (which makes it easier to manage transactions too), or use a website like Skrill to make payments instead. Problem solved. Anybody aged 18 or over can use Profit Accumulator, there are no checks carried out & things like occupation or income do not matter. You don’t need huge amounts of time to participate with it, in fact the average offer only takes around 20 minutes to complete. It’s mostly popular with stay at home moms & students but since it only takes up a very small amount of time even those who are working should have no issues leveraging Profit Accumulator on the side. The HUGE benefit of the income that you make from Profit Accumulator is that it’s completely tax free. Whether you make £100 or £10,000 it doesn’t matter – you don’t have to pay tax on any of the income that is paid out to you from the bookmakers & you don’t even need to declare it to the HMRC. Betting duty was abolishing in 2001, meaning that in the UK there is no longer any tax to be paid by the customer in the UK. All winnings from sports bets, casino play, lotteries and other forms of gambling are completely tax free. In order to initially unlock the free bet offers from the bookmakers you’ll generally need a small amount of money to get started. The amount of money required will totally depend on the offers available at the time you signup, and could range anywhere from £5 to £50 or more. The thing to keep in mind here though is that you will get this money back, and more – matched betting is different to gambling because when done correctly there is no risk involved. It’s based on calculations so you can predict the outcome before it actually happens. The only real cost involved is the cost of the matched betting system that you’re using, which in this case will be Profit Accumulator – however thankfully Profit Accumulator have a free trial available which enables you to earn up to £45 before you’ll even need to pay a thing. There is no definitive answer to this question, it depends on a number of factors such as how much money you have to start out with & how many offers you have time to complete. Some people use Profit Accumulator to make a couple of extra hundred pound a month whilst others use it to earn thousands. Ultimately how much you earn is dependent on you – and how many offers you’re going to complete. 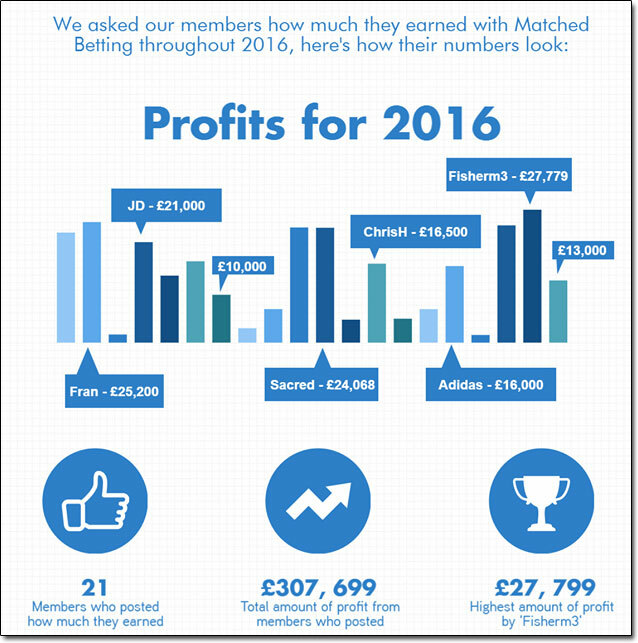 In 2016 alone one of the Profit Accumulator members managed to bank over £27,799! That’s pretty amazing stuff, and there were several other members who had made well over 5 figures that year too. And what if you’ve already signed up to a load of betting websites? Most people who are worried about getting started with Profit Accumulator are those who have placed a bet before, but on the flipside you have the people that feel like they’ve signed up with nearly every bookmaker in the biz worrying that there will be no free offers left for them. If that’s you then don’t worry because you’ll be introduced to a whole load of bookmakers you’ve never even heard of, and then there’s all the different casino and bingo offers that Profit Accumulator shows you how to leverage too. So whether you’ve never bet before or you feel like you’ve bet with every bookmaker there is – don’t worry, the Profit Accumulator system will still be able to help you profit from matched betting. Whenever it comes to anything that involves gambling or risk I’m always very wary, and it’s rare that I’ll ever recommend something to do with either of the two… However, Profit Accumulator is simply amazing and truthfully it’s one of the best income building opportunities I’ve ever seen online. And believe me, I’ve seen a LOT of opportunities over the years. You see the great thing about Profit Accumulator is that it literally enables anybody, regardless of experience, to profit from matched betting. You’re literally taken by the hand and walked through the full process, so providing you can follow step-by-step videos & simple instructions then you can definitely find great success with this system. But what’s even more impressive is the sheer amount of money this matched betting method can provide. As we seen in the image above some of the members inside Profit Accumulator are making well over £20,000 per year in side income on top of what they’re earning from their jobs. 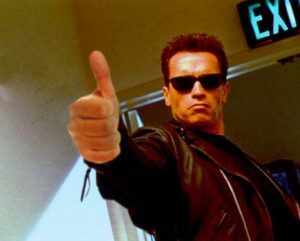 For those reasons alone I’m going to be giving Profit Accumulator an 11 out of 10 rating (yes,11), and I’d absolutely 100% recommend that you at least give it a try. Sam Stoffel, the guy behind Profit Accumulator has done an amazing job & created an awesome opportunity. Hats off to him. Big Profit System Review – Will You Really Be Able To Just Sit Back & Count The Cash? 2 Responses to "Profit Accumulator Review – Can You Really Make Money & Is It Legit?" 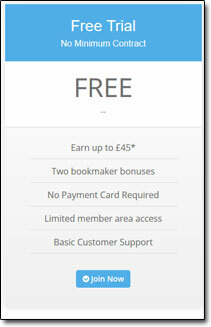 Matched betting is such a great way to top up your income. I too joined Profit Accumulator a year ago now and I can’t recommend them highly enough. Up to date offers, great tools & a really useful and active members forum are the main features which stand out for me. After a year I’ve made £7500 in my spare time. Thanks for your comment Jodie – I agree with you, matched betting is a great way to build an extra income (and it’s quite easy too once you get the hang of it). £7,500 is an amazing amount of money especially since as you say it was literally done in your spare time. Awesome stuff!